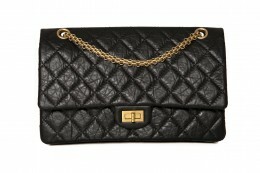 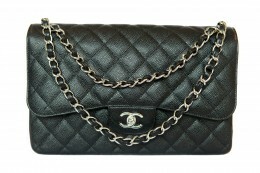 The chic iconic CHANEL CLASSIC Flap Bag is a timeless accessory which every women dreams to have. 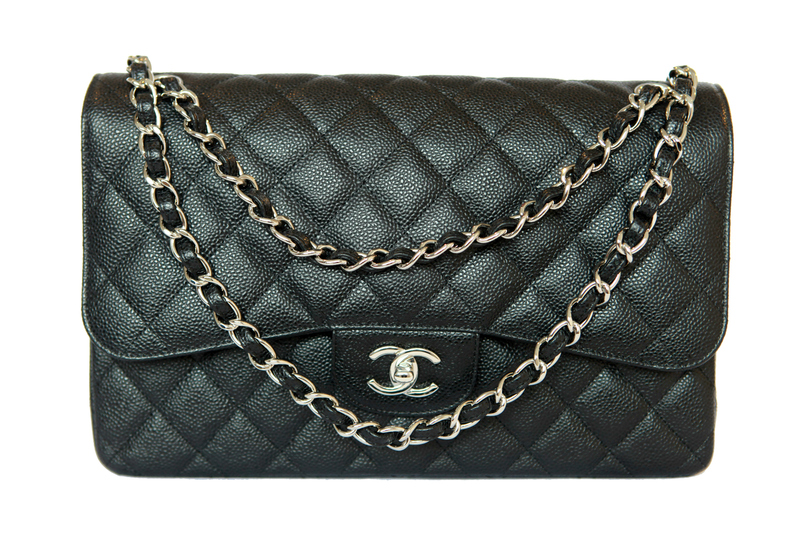 In beautiful Caviar Leather exterior with a ‘CC’ closure flap and Silver metal chain interlaced with leather strips. 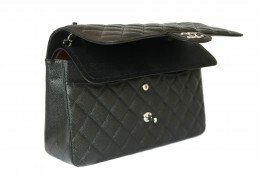 Adjustable chain strap give you opportunity to wear your bag however is comfortable for you. A CC lock opens the front flap, which has a hidden zip pocket called ‘the secret pocket’, a second flap opens a bag with several smaller pockets. 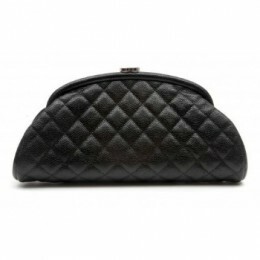 In all, seven pockets offer their practical services. 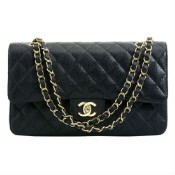 Jumbo size. 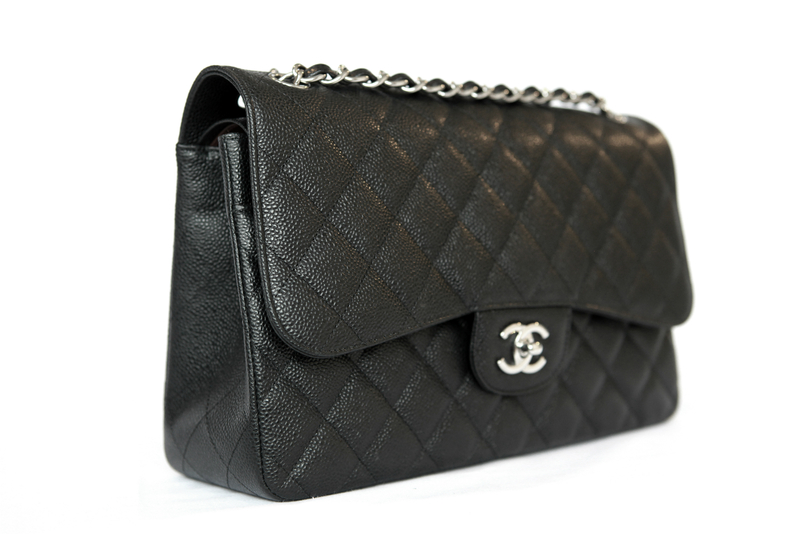 Product Attributes: Adjustable Strap, Black, CC Closure, Chanel, Chanel Classic, Chanel Flap Bag, Classic, Flap, Flap Bag, Iconic, Leather, Quilted, Silver, Silver Metal, Timeless.